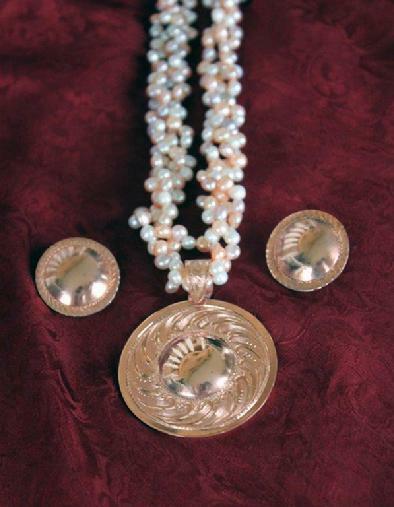 Bright-cut copper earrings & pendant on peach pearls. 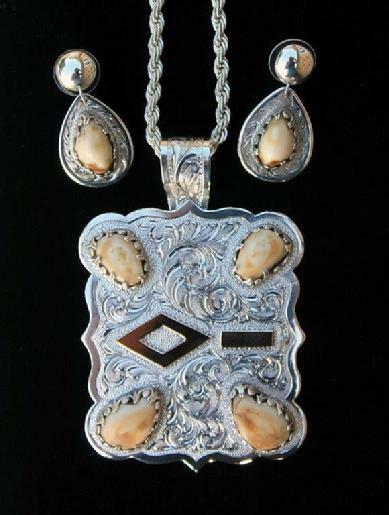 St Francis sterling silver pendant & earring set with 14k goldfill brand.\ & elk ivory settings. 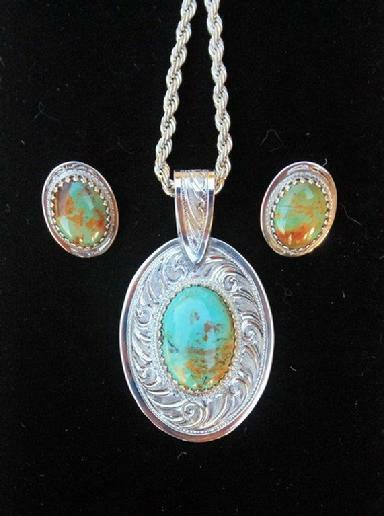 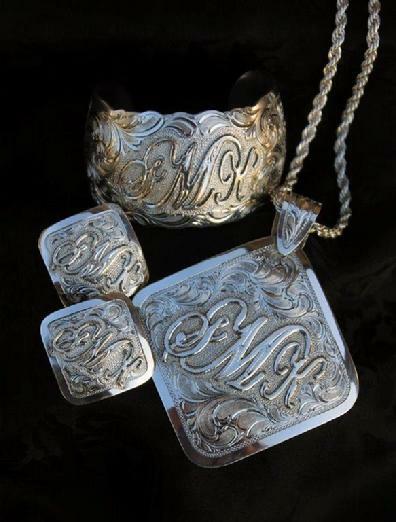 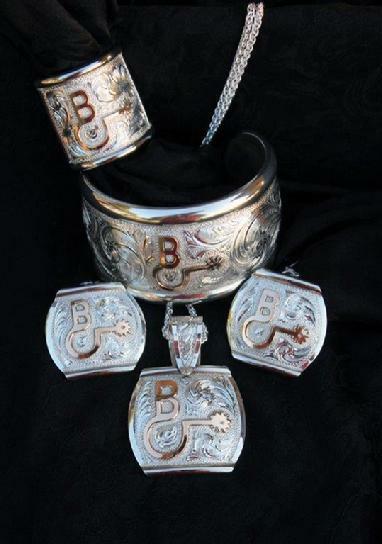 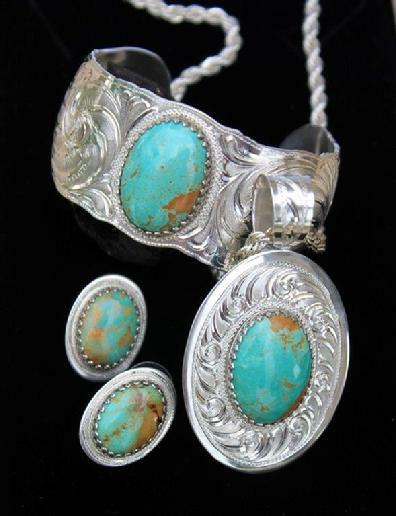 Sterling cuff, pendant & earrings with Kingman AZ turquoise. 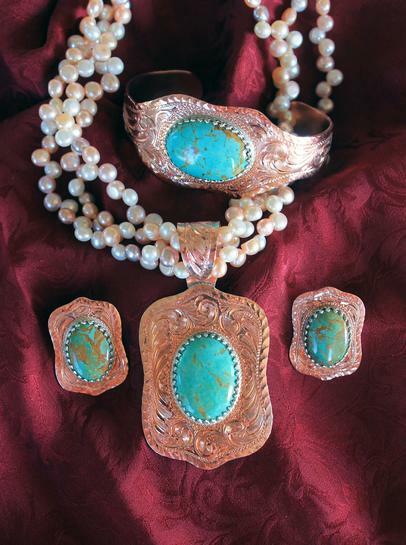 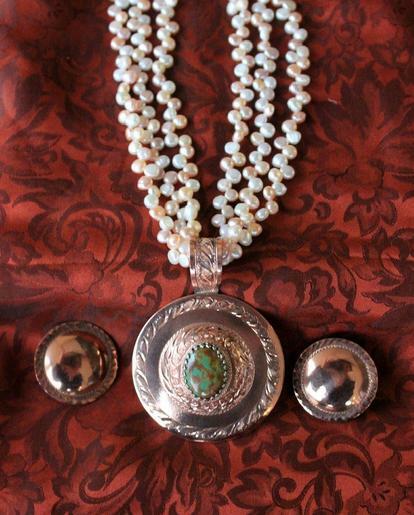 Copper with Kingman AZ turquoise & peach pearls.